A couple of weeks ago, I got a message from a friend I hung out with freshman year of college but haven’t seen or spoken to since. It just said, “Were you just at 77th and Lex?” I WAS!!! In the time that we had lost touch, he had moved to Los Angeles, and only a couple weeks after me moved to New York City. Even crazier, he was living a couple blocks from my old apartment. Our schedules hadn’t worked out to meet up. 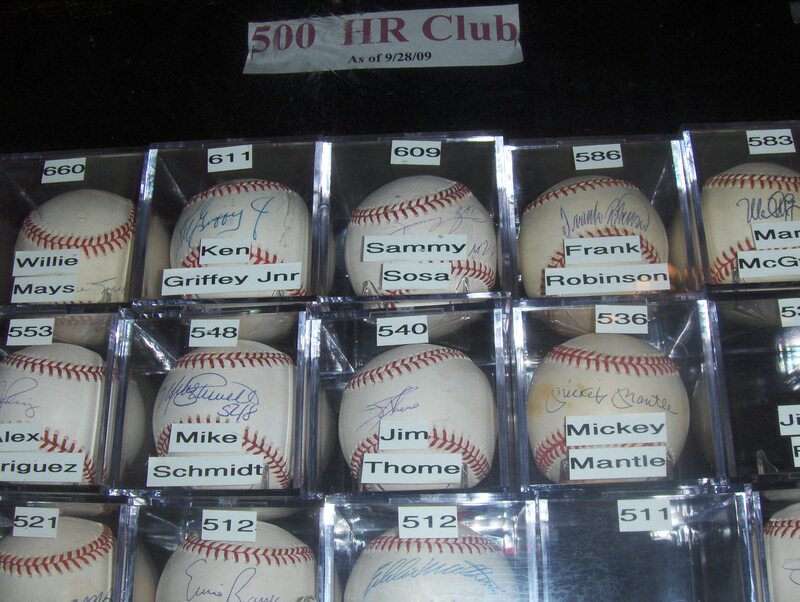 But this night, I was watching a Mets game with some friends at a bar (with this amazing collection of autographed baseballs..GRIFFEY!) close to where he works. He met up with us and after the game we wandered around Midtown/Hell’s Kitchen. We sang along with drunk people at Rudy’s, laughed at the tourists in Times Square, and found the hidden bar in Grand Central. A very adventurous night indeed.